Purgatory is a multi-venue club complex that occupies 35,000 square feet on 5 levels of an early warehouse building. The first floor and basement are occupied by Hell a high energy dance club. Sharp angles, rusted steel and riveted sheet metal are used to create the mood. Lenticular flame-like wallcovering and lighting effects enhance the theme. The multi-level dance floor descends into a former freight elevator pit and continues to the hidden basement bar. 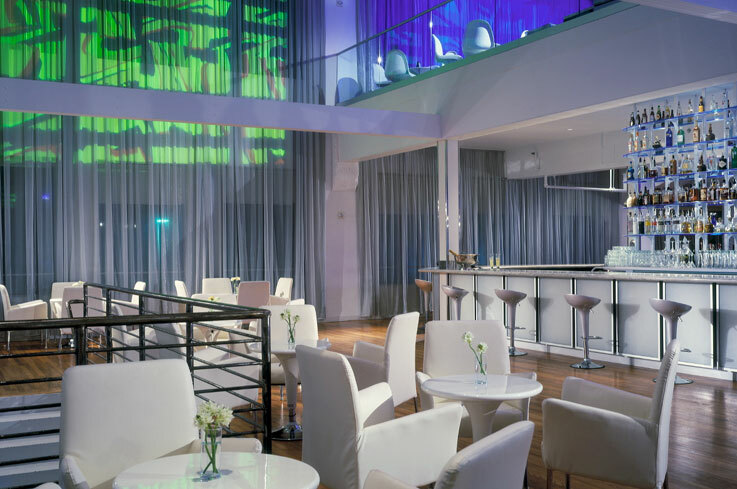 The second level simply called Purgatory is a chill-out lounge with views of downtown and a large unisex bathroom complete with its own LED lit glass bar. Heaven the largest of the venues occupies the 3rd and 4th floors. Much of the 4th floor was removed creating dramatic spaces and allowing expansive views throughout. VIP boxes on the 4th floor, complete with individual plasma screens, provide the perfect see and be seen experience. In contrast to the rough dark vibe of Hell, Heaven is light and features curved surfaces, translucent backlit materials, and silver mesh curtains. The entire room is a part of the projection surface for the state of the art lighting & video system. 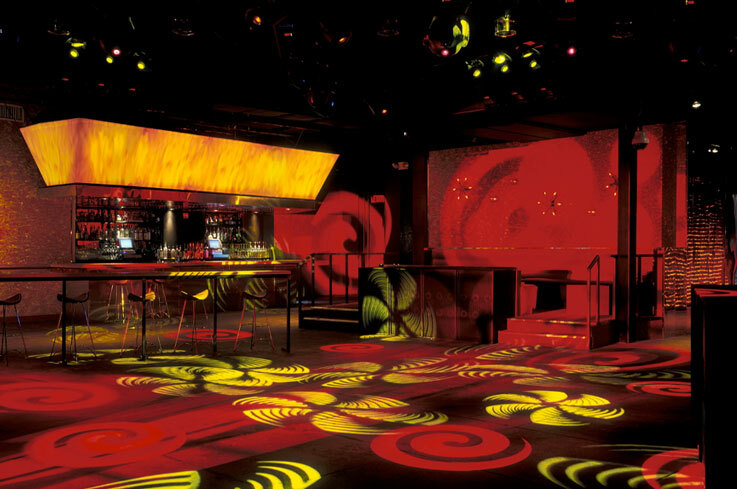 The final venue of the Purgatory complex is the VIP room. The owner’s Opus wine collection lines one wall of this sophisticated room dressed in neutrals, gold and black. 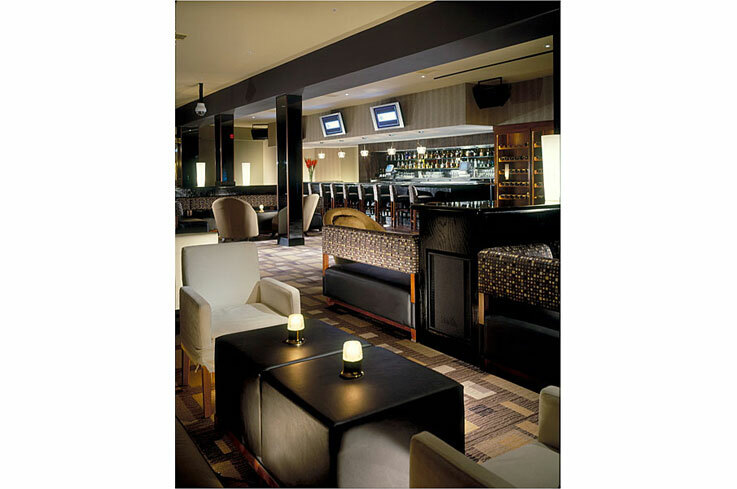 Upholstered furniture groupings, mod patterned carpet and plasma monitors create the ultimate ultra lounge.